Jam to your favorite tunes with our new group guitar classes, Vivaldi Rocks! 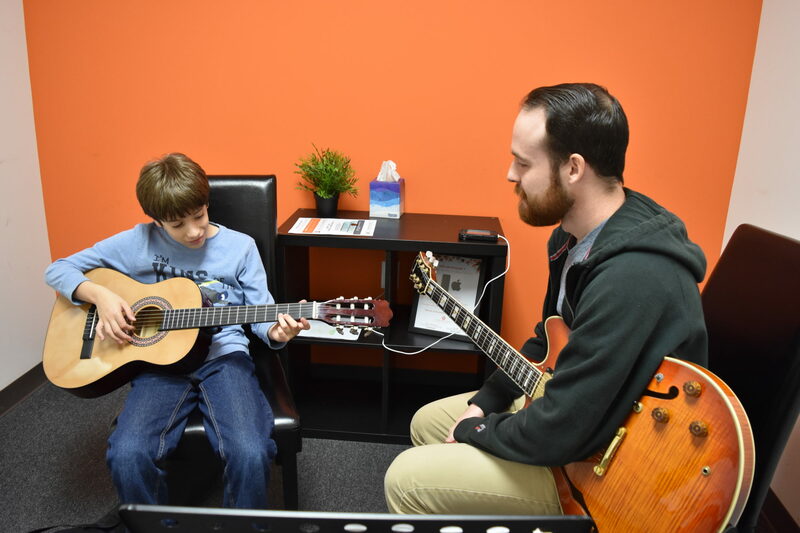 The Vivaldi Rocks program serves as the perfect complement to private guitar lessons. Our teachers will bring the tunes and fun while preparing students to participate in various community performances and special events. Students will learn a variety of guitar styles including exciting and contemporary pieces as an ensemble. Group classes build on teamwork! Students gain confidence and develop creative expression as they learn and perform with their peers. Students who participate in group classes in addition to their private lessons progress at faster rates, stick with their instruments longer, have greater self-esteem, and develop a stronger appreciation for music!